• Red alignment aid is positioned from the face to the rear portion of the head for very easy alignment. 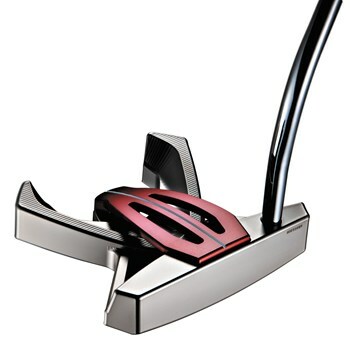 • The putter base is made of a lightweight aluminum and three heavy tungsten weights to increase the putters MOI and position the CG in the optimal location. • Finished with a durable nano-nickel coat.